I’ve spent more time in France than anywhere else in the world – from childhood holidays in Normandy to a winter skiing in the Alps. And one of the things I love most about the country is its diversity. Whatever kind of trip you fancy you can find it in France – museum hop around a city, laze on a beach, taste wine from the vineyard, live it up in a luxurious château – the possibilities are endless. So to get you started here are ten of my favourite, tried-and-tested French weekend break ideas (with a PDF at the end so you can download them for later). Why visit? A Normandy harbour town that could have come straight out of an Impressionist painting, Honfleur was the haunt of artists like Monet and Cézanne in the 1850s, and it doesn’t look like it’s changed much since. With its narrow, tall merchants’ houses and old stone salt stores, the Vieux Bassin (historic port) is the old heart of Honfleur and its most picture-perfect spot. Check out France’s largest wooden church – the Église Sainte Catherine – and take a boat trip around the port and out to the huge Pont de Normandie cable bridge. Or head just along the coast to the pretty 19th-century seaside resorts of Deauville and Trouville for a day on their sandy beaches. Honfleur also has museums honouring two local heroes – composer Erik Satie and Impressionist painter Eugène Boudin. If you’re inspired by the town’s artistic atmosphere you can join a painting class – or leave it to the experts and browse Honfleur’s galleries and studios. Watch the boats over a drink at a harbourside café, then head into Honfleur’s side streets for better food at lower prices. Normandy’s apples feature in everything from tarte tatin to Calvados liqueur, plus there’s great local seafood, cheese and butter. La Tortue is a cosy restaurant with local produce and good set menu deals – don’t miss their scallops and apple délice with Calvados. Or try Cidrerie Crêperie for paper-thin pancakes and local cloudy cider. Spend the night in Monet’s old pad – the Ferme Saint Simeon. This smart five-star Relais & Châteaux hotel and spa in a converted farmhouse was a hostel for artists in its previous (less fancy) life. Honfleur is close to cross-Channel ferry ports at Le Havre (25km) and Caen (75km), and ferries to Portsmouth take five hours. The nearest airport is in Paris, where you can catch a train to nearby Deauville/Trouville (1 hour 45 mins) then a local bus or taxi to Honfleur. Why visit? 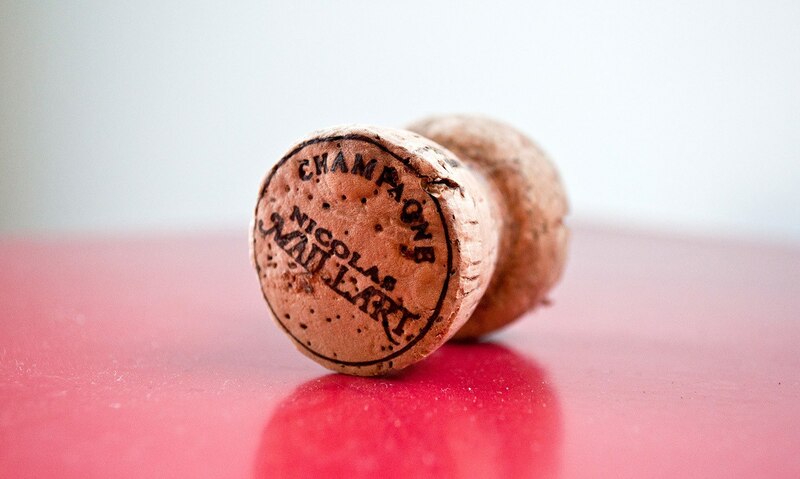 Gallons of bubbly – need I say more? The capital of France’s Champagne wine region is home to some of the most famous names in Champagne, as well as great restaurants and historic sights if you need a break from the bubbles. Champagne is everywhere in this town – from the world’s best-known Champagne houses to the miles of tunnels in the cellars underneath your feet. Taittinger, Mumm and Pommery are all within walking distance of the city centre and run tours and tastings without an appointment. Or you can take a trip out into the countryside to discover some of the area’s smaller producers – Le Vigne du Roy do half- or full-day guided tours around the best of the boutique vineyards. Once you’ve had your fill of bubbles, you can check out the city’s Roman Porte Mars gate, the UNESCO-listed Notre-Dame Cathedral (and its next-door neighbour the Palace of Tau) and the city’s museums dedicated to art and Second World War history. Relax with a glass of your favourite vintage and watch the world go by in the cafés around Place Drouet d’Erlon. 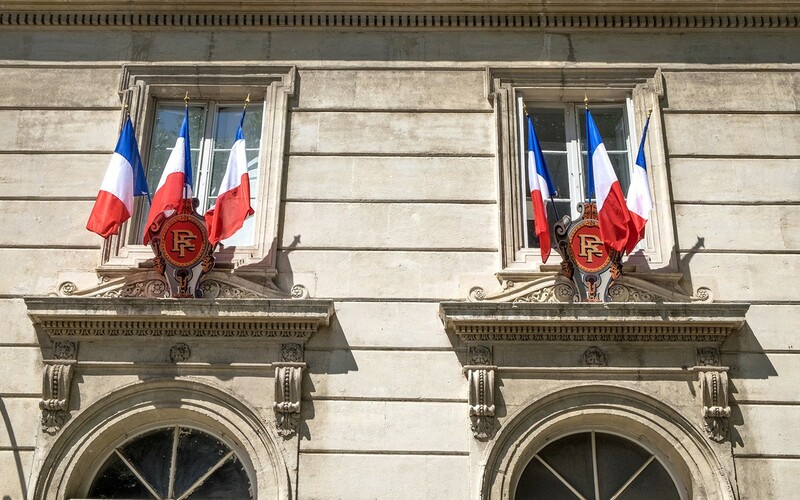 Le Foch is the place for a special meal in Reims, with classic fine-dining French food and an epic wine list. Or try the 1930s-style Café du Palais with its Art Deco décor and hearty bistro food to help soak up the bubbly. Or for something different, head 15 minutes outside of Reims to the Perching Bar, a Champagne bar up among the treetops. The Best Western Premier Hôtel de la Paix is right in the centre of Reims, an easy walk (or stagger) to its Champagne houses, bars and restaurants. Inside it’s smart and modern with an indoor pool, bar and restaurant. 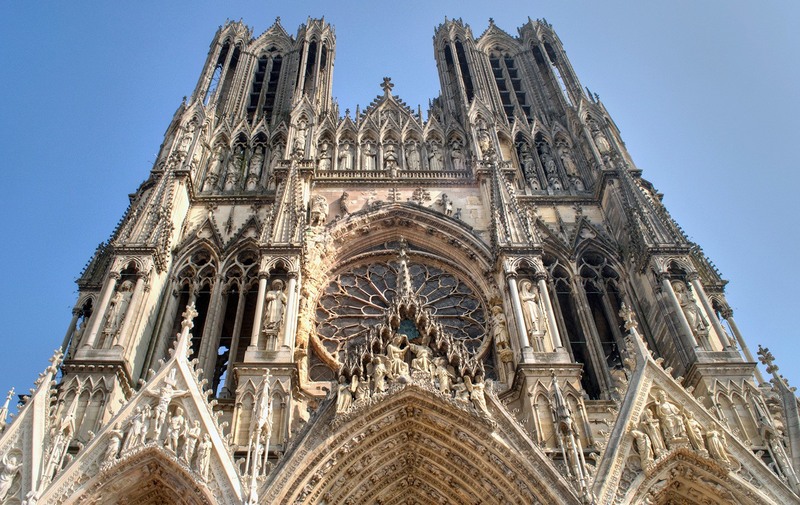 Reims’ nearest airport is in Paris, then it’s 45 mins by train from the Gare d’Est (a five-minute walk from the Eurostar terminal or airport train at Gare du Nord). Why visit? France meets Germany in one of the country’s most unique regions – the Alsace. 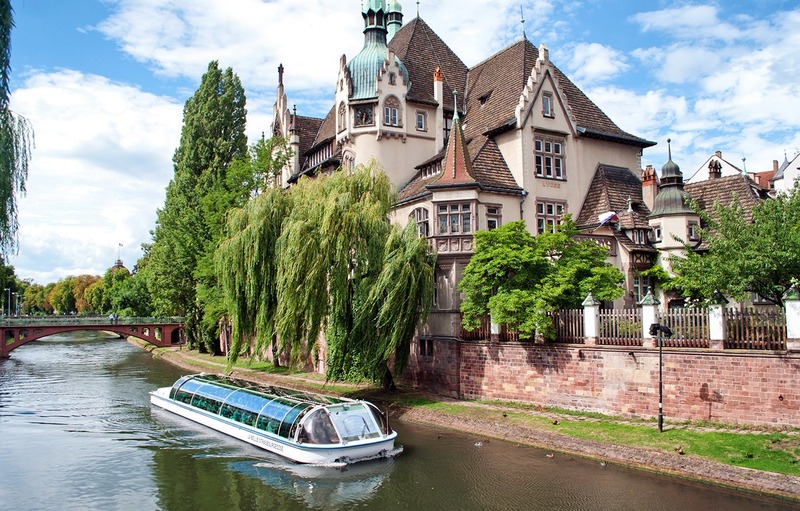 Strasbourg is a real city of two halves with postcard-pretty canalside scenes along with a contemporary European political district. 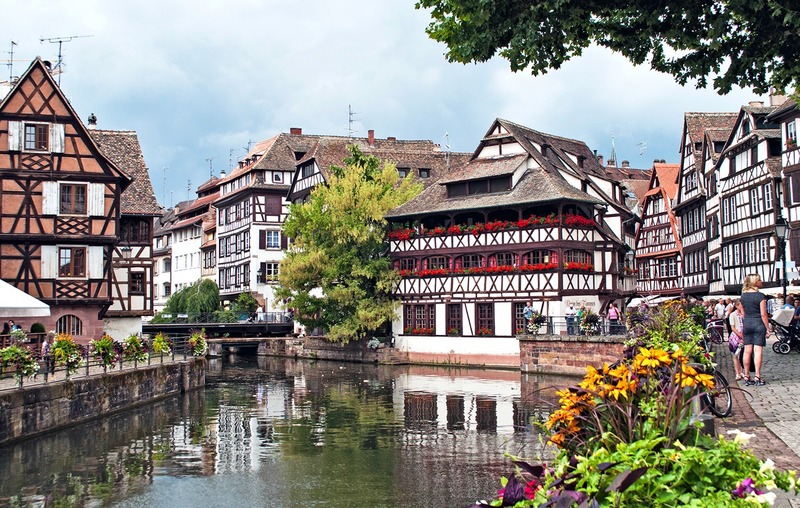 Wander the backstreets of Strasbourg’s historic Petite-France district, with canals surrounded by half-timbered houses decked with baskets of flowers. You can take a boat trip through the canals, and sail out to the ultra-modern European Parliament district to see a totally different side to the city. There’s also a great view over Strasbourg from the top of the cathedral, where you can watch the world’s largest astronomical clock strike ‘noon’ (at, er, 12.30pm). On summer evenings catch the sound and light show which transforms the front of the Barrage Vauban bridge and the cathedral into a work of art. Or in winter Petite-France turns into a winter wonderland with Christmas market stalls and steaming cups of vin chaud. There’s a taste of Germany in Alsace’s food, with things like choucroûte garnie – sauerkraut served with pork and potatoes – on the menu. 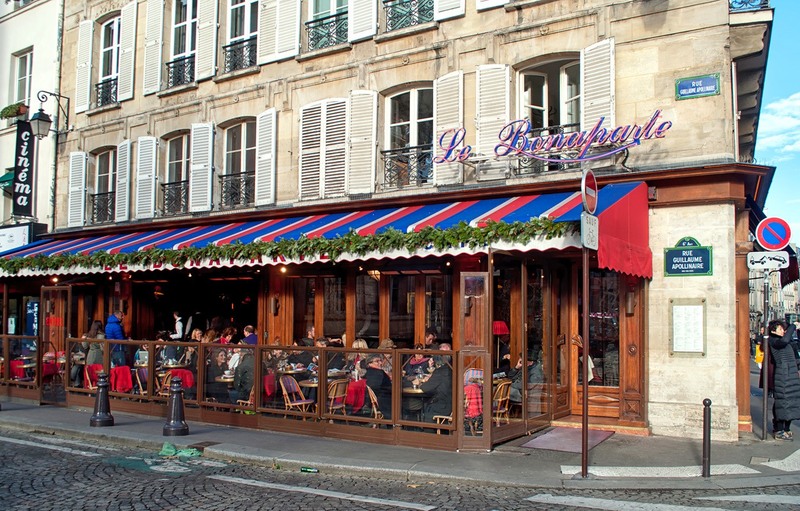 Au Pont Corbeau has some of the best choucroûte in town, though go hungry as the portions are huge. Or try a flammekueche (a thin-crust pizza with crème fraîche, bacon and onion topping) at Binchstub along with a glass of local Alsace wine – the area produces great Riesling, Gewürztraminer and sparkling Crémant d’Alsace. The Hotel D Strasbourg is an appropriately Strasbourg-style mix of old and new, with a historic exterior and sleek boutique hotel interior. It’s only a few minutes’ walk from the old town with sauna, spa and gym. Strasbourg has a small airport with flights from various French and central European destinations. Or by train it’s 2 hours 15 mins to Strasbourg from Paris Gare de l’Est. Why visit? A historic city in the heart of Burgundy, one of France’s most well-known – and pricey – wine regions, Beaune is the perfect place to feast on fantastic food and drink in the midst of its beautiful surroundings. 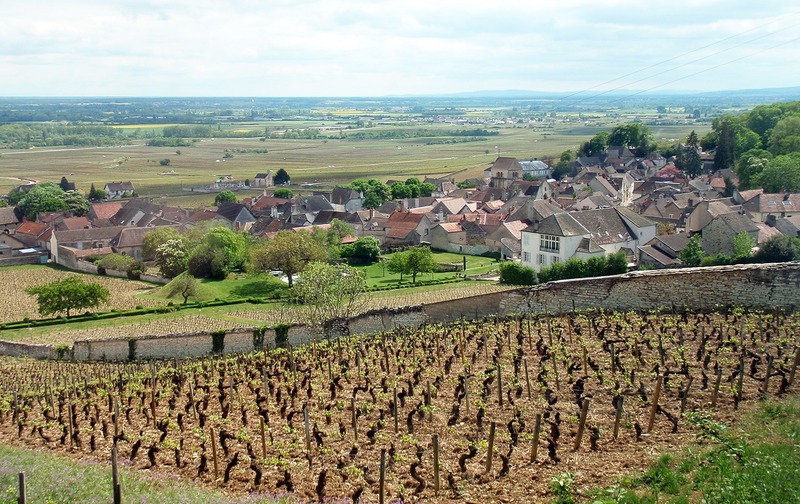 Beaune is surrounded by some of France’s most famous vineyards, but Burgundy’s appellation system takes some getting your head around. Start at the Marché au Vins where you can get an introduction to the region’s wine-making history. Then head to one of the town’s caves (wine cellars), like family-owned Bouchard Aîné et Fils, for a wine-tasting session. You can also follow the 60km-long Routes des Grands Crus (aka the ‘route of great wines’) by bike or on a tour to discover the Côte d’Or and Côte de Beaune wine-growing areas. 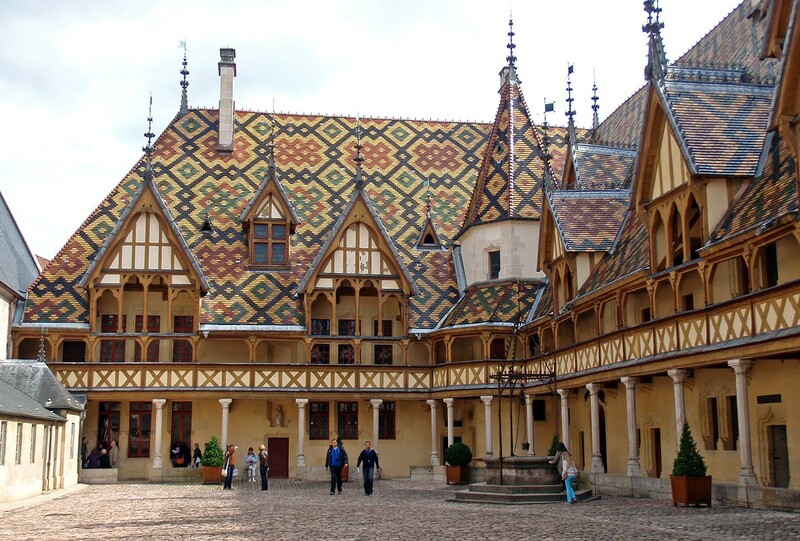 And visit the ornate Hôtel Dieu des Hospices de Beaune, a hospital-turned-museum where you can see how its former patients lived (with four-poster beds and velvet curtains included). They now host an annual charity wine auction and festival each November. In Beaune you can eat your wine as well as drink it, with everything from beef to eggs cooked à la Bourguignonne (in Burgundy wine). Try tasty traditional dishes at Ma Cuisine, a cosy bistro that’s a favourite of local winemakers with dishes like magnet de canard and over 800 wines. Or try the Maison du Colombier for Burgundy’s version of tapas, with plenty of great wines and cheese and charcuterie plates to share, and a lovely terrace overlooking Notre-Dame church. The Abbaye de Maizières is a real a trip back in time – a converted 12th-century abbey packed with character. Look out for vaulted ceilings, arched doorways and spiral staircases (though pack light as there are a lot of stairs). Beaune’s nearest airports are in Paris or Lyon, then it’s 2 hours by train from Paris Gare de Lyon or 2 hours 45 mins from Lyon airport. Why visit? Canals, castles, a clear blue lake and snow-capped mountains – Annecy has a bit of everything. 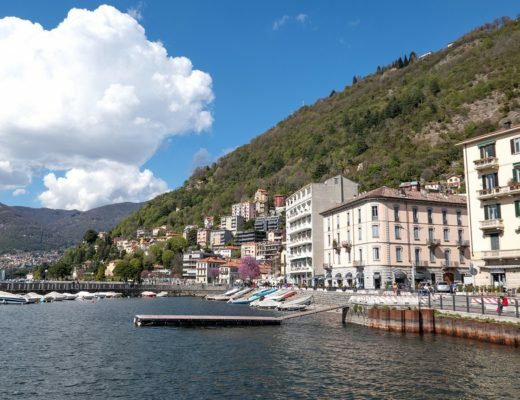 Sail, ski and hike if you’re feeling energetic, or just get lost in the old town and find your perfect canalside gelato spot. 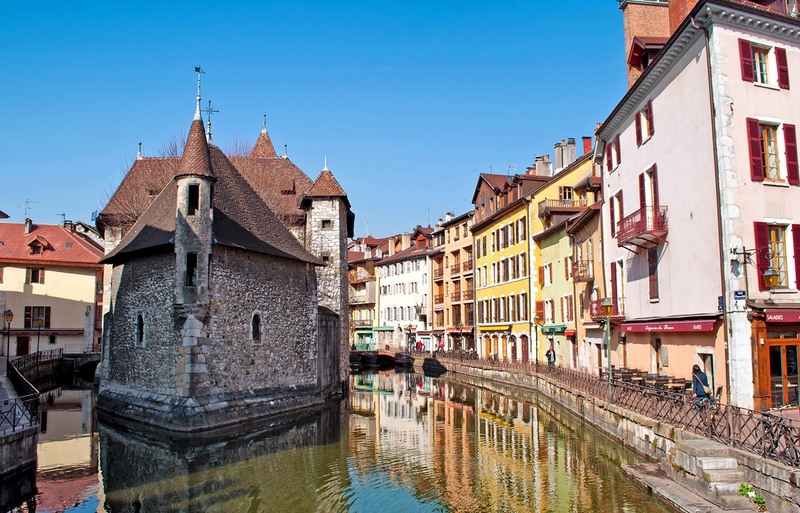 Annecy’s old town has more waterways than roads, with tiny islands linked by covered bridges and narrow passageways. The triangular Palais de l’Île is the city’s most photographed building, set between two forks of the river. Over the years it’s been used as a mint, courthouse and prison, but it’s now a museum and is lit up beautifully at night. Up the hill at the Château d’Annecy there’s another museum with information on city history and lake ecology, with a panoramic view from the terrace. 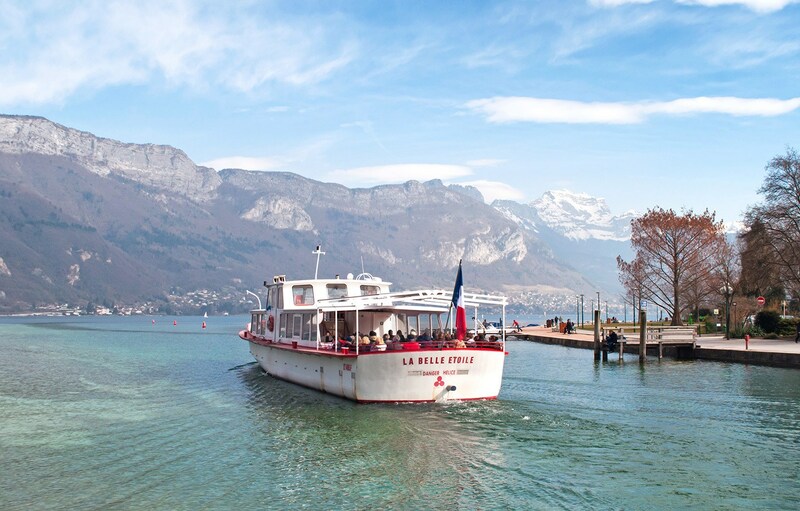 In summer, set sail on Lake Annecy on a boat trip or dinner cruise, or catch the shuttle boat to a neighbouring villages then walk or cycle back along the lakefront path. Or head up into the nearby mountains in winter. Stock up on local salami and reblochon cheese at the old town market on Tuesdays, Fridays and weekends. Being close to the Swiss border means Annecy’s food has a mountain feel, with cheese-fuelled classics like fondue and tartiflette as well as fish from the lake. L’Etage is the place to go for raclette (melted cheese with potatoes, charcuterie and gherkins). Leave room for gelato at Glacier des Alpes, with 60 delicious flavours (choc orange was my favourite). We stayed in an apartment overlooking the old town. But for old-style glam try the Impérial Palace in a stunning location on the edge of the lake, with bars, restaurants, a casino and spa. Annecy’s nearest airports are in Geneva (1 hour 30 mins) or Chambery (45 mins), both with bus connections. Or it’s 3.5 hours by train from Paris Gare de Lyon, or 1 hour 40 mins from Geneva. Why visit? With its pointed towers, drawbridges, portcullises and moat, Carcassonne’s UNESCO World Heritage Site medieval walled city is like a fairytale castle – or a film set – come to life. 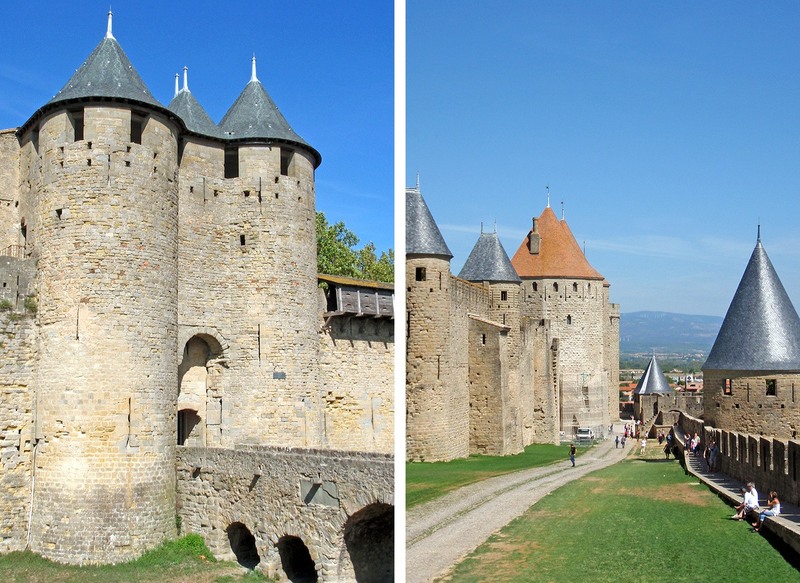 Towering over the city from a hilltop, you can’t miss Carcassonne’s ancient walled city. La Cité was built in the 4th century and its 53 watchtowers and two layers of walls protected it from invaders until it fell into disrepair. It was saved from destruction and rebuilt by architect Viollet-de-Luc in the 19th century, who added a few extra flourishes. Today’s invaders are tourists, with three million visiting each year. 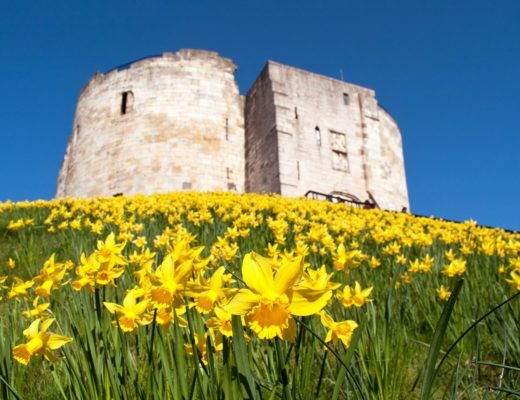 Come in spring or autumn, or stay after sunset when the day-trippers leave and the city’s most magical. Away from the citadel you’ll find the city’s best cafés and shops in the newer Ville Basse lower town. Or for a change of pace, take a trip out to the nearby Canal du Midi for a boat ride or walk or cycle the towpath. Carcassonne is in France’s Languedoc region, known for dishes like cassoulet and Spanish-inspired crème Catalane, as well as lots of great wines. Within the city walls, the Hôtel de la Cité’s La Barbacane restaurant serves high-end cuisine in an opulent dining room with wood panels and stained glass. For something a bit more casual, Creperie Le Ble Noir does delicious sweet and savoury crepes – though you need to book in advance or brave the queue. For the full fairytale, splash out on a stay at the Hôtel de la Cité – one of just a few hotels inside La Cité. This luxurious medieval-style chateau has a terrace with stunning views plus an outdoor pool and spa. Carcassonne airport has direct flights from the UK, Ireland, Belgium and Portugal, or Toulouse airport is 2 hours away. Carcassonne is 5.5 hours by train from Paris Gare de Lyon. Why visit? Those Popes had good taste – packed with impressive art and architecture, Avignon has big city-style history, culture and food in a small package, with gorgeous Provençal countryside on its doorstep. Avignon was the home of the Popes in the 14th century, and they left their legacy in the Palais des Papes. 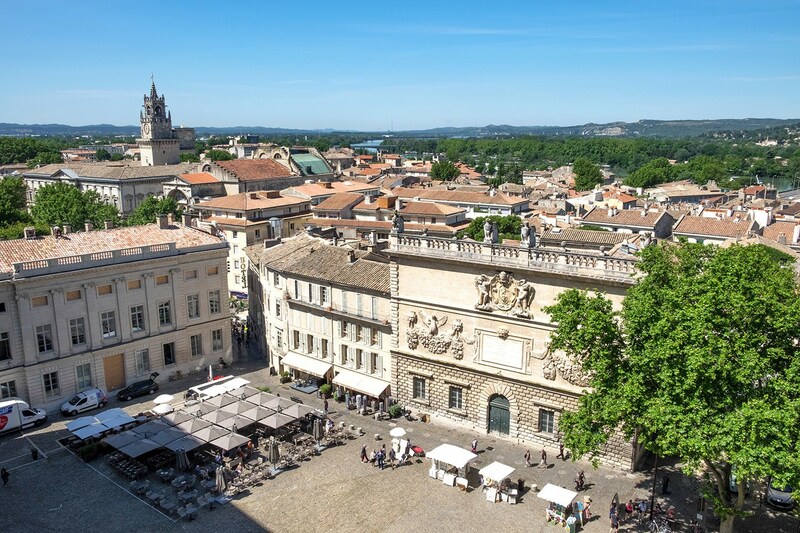 This giant fortress palace towers over Avignon with fantastic views from its rooftop. Wander around the walled old town and explore its museums and boutiques, then people-watch with a coffee or glass of wine in the Place de l’Horloge outside the city’s opera house. Take a walk (or should that be dance?) 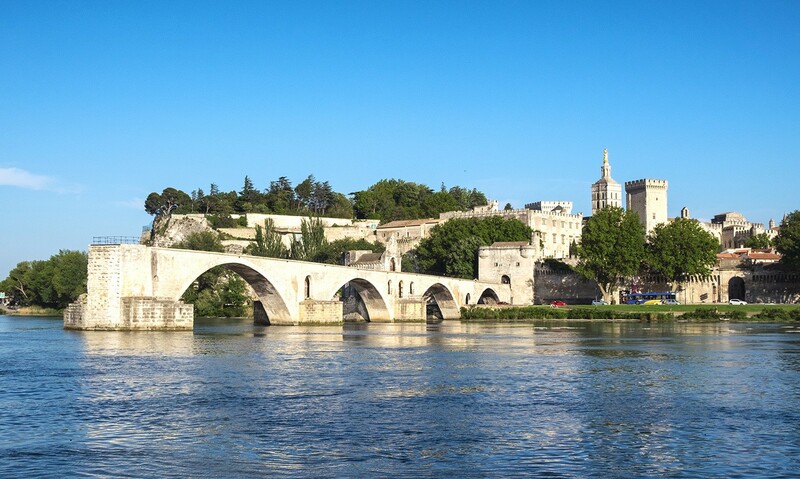 ‘Sur le Pont d’Avignon’ – a bridge which was made famous by a catchy French kids song. Though it only goes halfway across the river so don’t try to cross it. 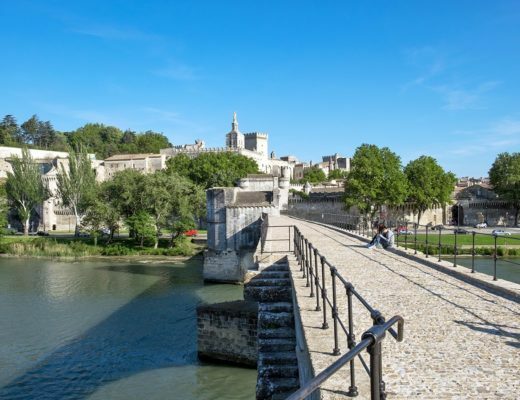 Or you can sail past the bridge on a boat trip along the Rhône river, with hour-long circular routes or longer trips out to Arles or the Châteauneuf-du-Pape wine region. Provençal food is packed with fresh produce, and you can pick up your own at Avignon’s Les Halles food market. For a special meal, Restaurant Christian Etienne serves Michelin-starred fine-dining dishes on a terrace overlooking the Palais des Papes. Or for something a bit more casual, Le Potard does juicy burgers in a converted chapel with a blues soundtrack. We stayed in a lovely apartment in the old town. Or try La Banasterie, an arty B&B with just six rooms in a historic building in the old town. Avignon has a small airport with flights from the UK, or it’s less than a hour from Nimes or Marseille airports. By train there’s a direct Eurostar from London to Avignon in 5 hours 49 mins, or its 2 hours 40 mins from Paris Gare de Lyon. Why visit? 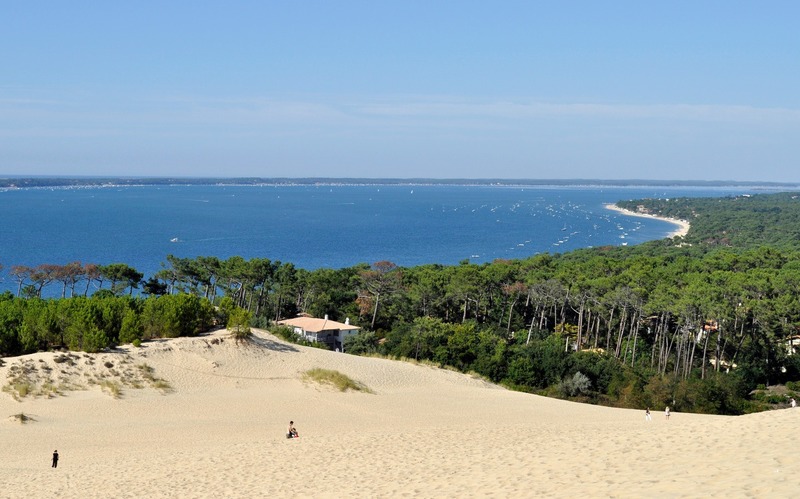 A hidden gem on France’s Atlantic coast just south of the Medoc wine region, Arcachon is surrounded by unspoilt beaches, pine forests and sprawling dunes, and is home to some fantastic seafood. Arcachon is a seaside resort town on a stretch of coastline in southwest France known as the Côte D’Argent – or silver coast – which has over 200km of unspoilt sandy beaches. Explore the historic grand villas along Arcachon’s seafront, try some of the area’s famous oysters or take a boat trip out into the bay or to a nearby bird sanctuary. 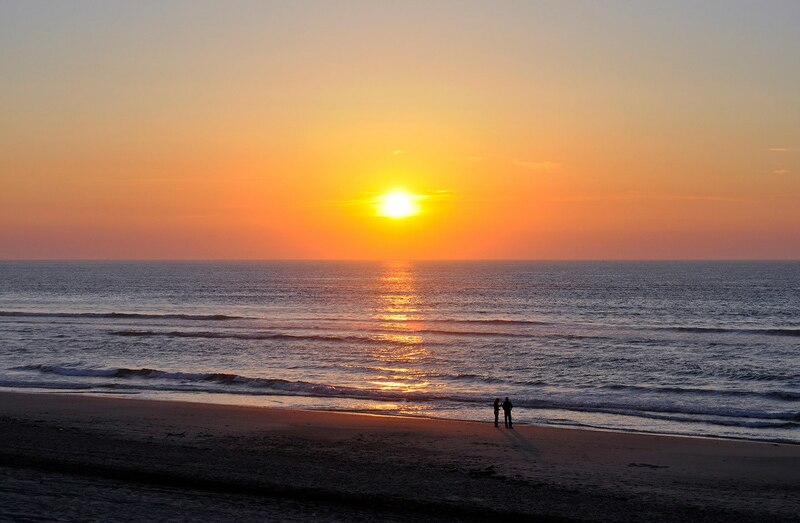 Hire a car to explore some of the surrounding area – there’s the Caribbean-style white-sand beaches of Cap Ferret, the vineyards of Bordeaux’s Haut Medoc, and the surfing beaches and sailing lakes of Carcans and Lacanau. Or clamber to the top of Europe’s largest sand dune, the Dune du Pyla, which towers 107 metres high with panoramic views along the Atlantic coastline. Oysters are the star attraction in Arcachon – eat them freshly plucked from the Bassin d’Arcachon at L’Oyster Bar inside Arcachon’s market, or try a local speciality where they’re steamed over pine needles. Chez Pierre at the Café de la Plage has a fantastic location on the beach and serves oysters (of course) as well as other seafood like mussels, clams and lobster. Try their seafood platter with a glass of crisp white Bordeaux for the perfect summer evening. The Hotel Le B d’Arcachon is right on the seafront with bright, modern, good value rooms, many with sea view balconies. The nearest airport to Arcachon is in Bordeaux, 2 hours 15 mins away by train. Or it’s 5 hours by train from Paris Montparnasse to Arcachon (change in Bordeaux). Why visit? The glitz and glamour of the Côte d’Azur meets 16th-century historic walled town, with a side order of golden Mediterranean beaches. 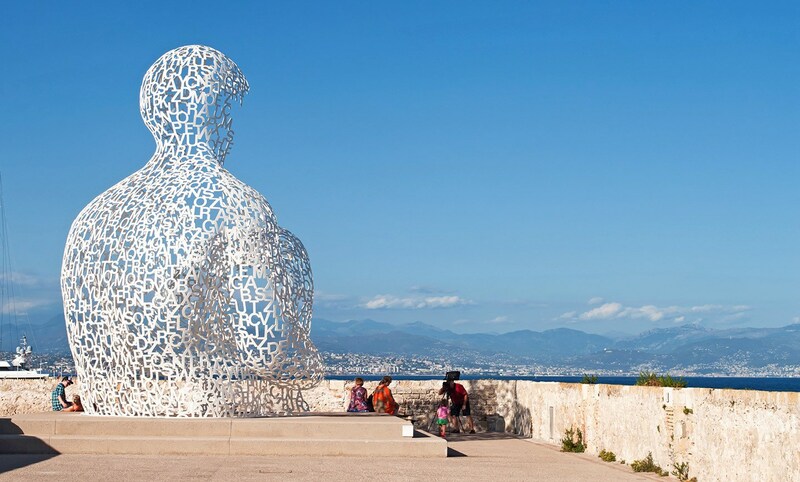 If you think you know the South of France, Antibes might surprise you. Vieil Antibes is a maze of cobbled streets and pastel buildings inside the old city walls. Get lost in its narrow streets full of boutique shops and cafés. The Musée Picasso has some of his works on show in the château where he lived for six months. The town’s still a favourite for artists too, with studios inside the city walls and Jaume Plensa’s Nomade sculpture on top of them. Along the Antibes seafront you’ll find the Med’s largest marina – a millionaires’ playground that’s perfect for a spot of fantasy yacht shopping. The Plage de la Gravette is right in town, or if you walk south you’ll find a string of sandy beaches. Or take a walk across the headland to neighbouring Juan-les-Pins, an art-deco style beach resort. Call in at the Marché Provençal to stock up on cheeses, olives and charcuterie then grab a bottle of local rosé for a beach picnic. 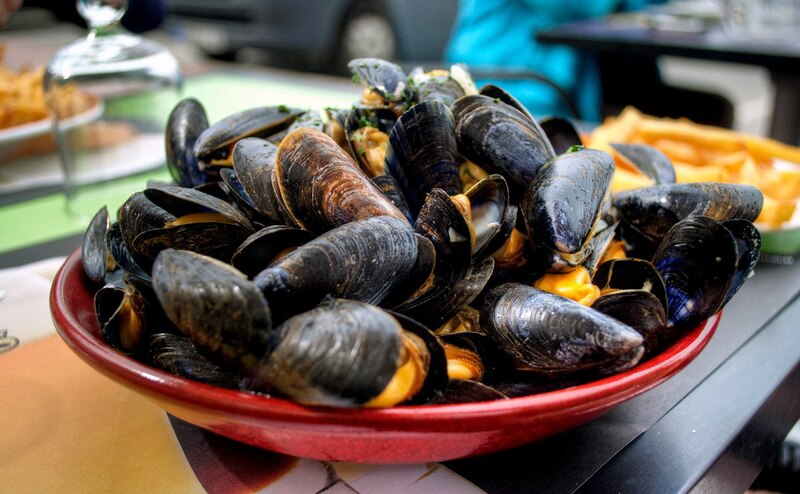 Or try some local seafood at L’Oursin which has fresh fish and seafood pastas and risottos on the menu. Or Le Vauban uses seasonal ingredients to create French classics with a twist – including a good-value, six-course tasting menu for €48. We stayed in a small but perfectly formed apartment on the edge of town, but were recommended the Mas Djoliba hotel, a villa a few minutes’ walk from the beach with a pool, terrace and gardens. The nearest airport to Antibes is in Nice, 15 mins by train or taxi, and Monaco airport is 50 mins by train. Or its 5 hours 15 mins by train from Paris Gare de Lyon. Why visit? Because Paris is always a good idea. 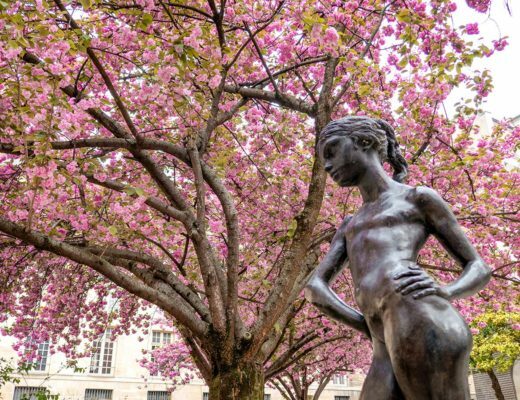 Whether you’re an old romantic or more of a food-lover, history-lover, art-lover, shopping-lover or culture-lover, you could never get bored in the French capital. What can’t you do? Paris has something for everyone. You can focus on the classic Parisian experiences and climb the Eiffel Tower, watch the painters in Montmartre, visit the Mona Lisa in the Louvre and take a boat trip on the Seine. 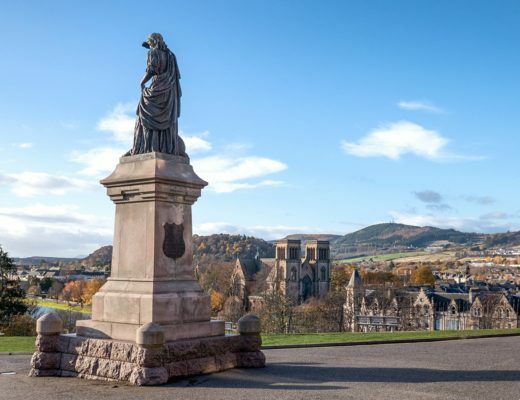 You can watch the 14th July fireworks and picnic in the park in summer or ice skate and shop the Christmas markets in winter. 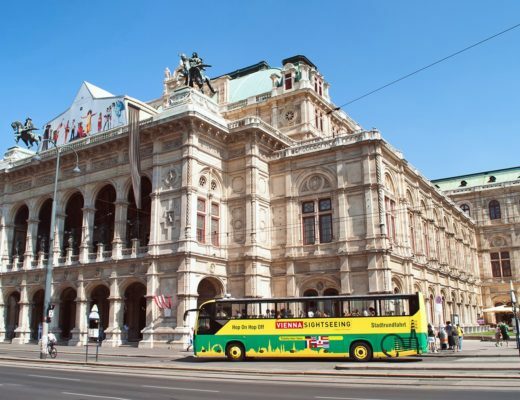 Or you can uncover some of the city’s more unusual attractions like the ornate cemeteries, the Promenade Plantée railway line-turned-park and the quirky museums dedicated to everything from the sewers to fairground rides. And there’s always the city’s huge array of world-class boutiques, restaurants and bars to eat, drink and shop your way around. 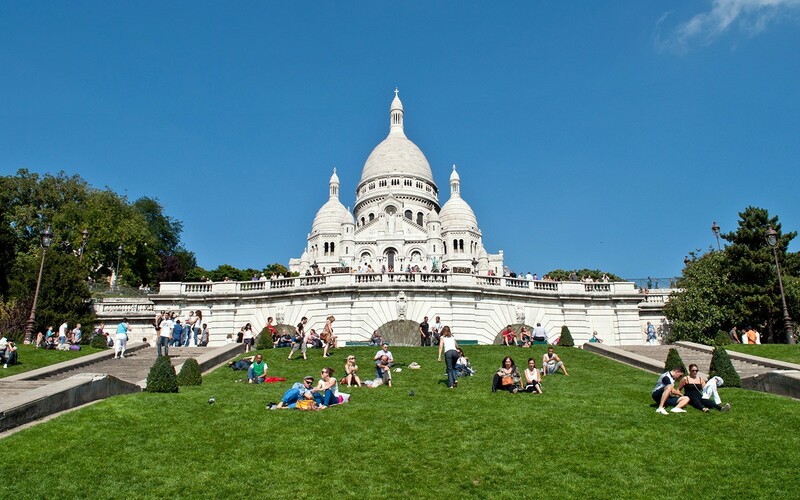 Each Parisian neighbourhood has it’s own character, but one of my favourites is Bohemian Montmartre. Set under a windmill, the Moulin de la Galette gets its name from a cabaret on the site which was visited by artists like Renoir and Van Gogh. Now it’s an upscale restaurant serving modern French food. Or try popular Les Apotres de Pigalle for tapas-style South American comfort food with sharing plates like truffle mac and cheese or chicken quesadillas. I’m lucky to have friends with an apartment in Paris to stay in – and there are lots of rentals available around Montmartre. Or if you’re looking for a hotel, Le Relais Montmartre has lots of character, really good service and a great central location. 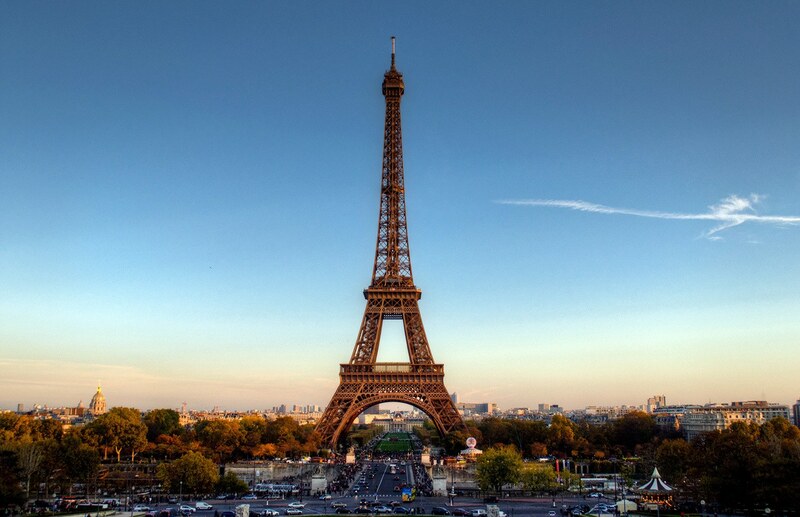 Paris has two main international airports – Charles de Gaulle and Orly – with flights from across the world. Or it’s 2 hours 20 mins by direct Eurostar train from London St Pancras to Paris Gare du Nord. So which would you most like to visit – or do you have another favourite French weekend break destination? Download a free printable PDF copy of the guides! I haven’t done much exploring in France at all so it’s lovely to read this post and get some recommendations. Strasbourg looks amazing! Have you been to Lille during the Braderie? It’s fantastic! Strasbourg was lovely – and also Colmar which is quite similar (and I haven’t written about yet!). I did a Christmas market trip to Lille a few years back which was lovely but hear the Braderie is great so one to go back for! I’m only a recent convert to oysters but am going to have to give Brittany’s a go! Do love France there’s so much to see and it’s so varied. There’s so much of France I still need to explore and some of it not so far from where I live on the South Coast – Honfleur springs to mind. I had two French weekenders this year; one in Biarritz and another near Amiens and I’d happily revisit both. Amiens looked lovely so it’s one I’ll have to try out sometime – enjoyed Biarritz a few years back too. 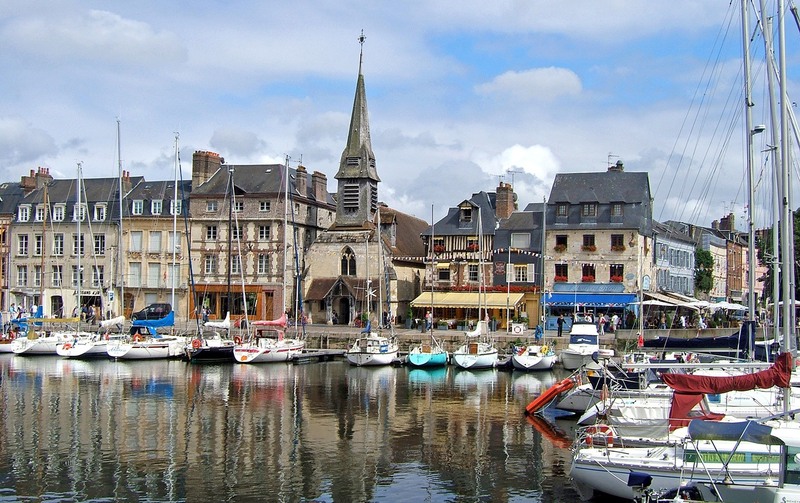 Honfleur is a real favourite, and definitely do-able in a weekend for you! Strasbourg was lovely – and Colmar too which is quite similar, though I haven’t written it up yet! 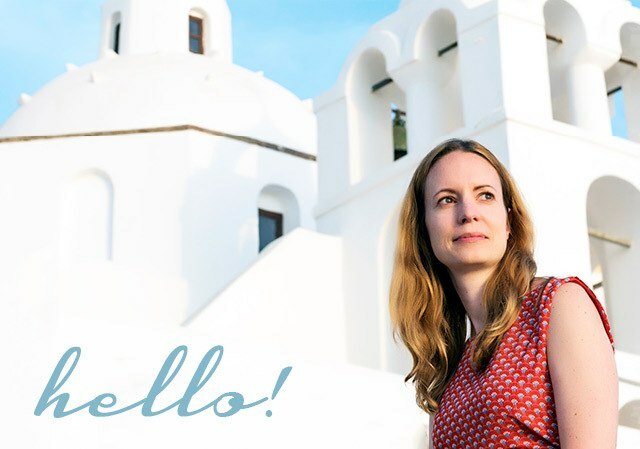 Such a diverse country – and such great food! I would love to explore more of France. Thank you Lucy for your tips here! You’re welcome! So many great places in France. Cannot get enough of that French food and wine (the accent helps too!). I adore Honfleur and, of course, Paris, but I’ve yet to make it to all the others. I’d include Lille too and together with Paris it is perfect if you don’t want to drive. I found some old photos of Honfleur, just yesterday and was thinking of scanning them (pre-digital). I wonder if it has changed much since my visit? Must be at least 15 years ago but could be much longer. I’ve been to Honfleur a couple of times and it’s such a charming place – super easy for a weekend trip from the UK too. Have such a soft spot for Northern France as it’s where I did my first ever trips abroad. Thanks, great to hear that it was useful!